What Does Surgery Have to Do with Your Teeth? This dental specialty focuses on diagnosis and treatment of diseases, injuries and defects of peoples’ face, mouth, teeth and jaws – what we call the maxillofacial area. It deals with both the function of the teeth and jaws as well as esthetics – how they look. 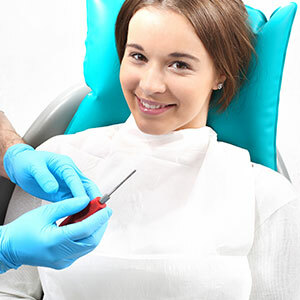 You can ask yourself, how can I find the best oral surgery near me? Gateway Oral Surgeons has all the expertise, training, competence you want, with the friendly environment that will make you feel secure in their care. An oral surgeon can remove impacted and damaged teeth and provide in-office anesthesia services, including intravenous sedation and general anesthesia. Working either alone or with a cosmetic dentist an oral surgeon can help with the planning and subsequent placement of your tooth implants. Oral surgeons can reconstruct bone where needed for implant placement and, when necessary or desired, modify gum tissue around the implants to produce a more natural and attractive appearance. Oral surgeons can repair minor-to-complex facial skin lacerations, as well as dental injury. They set fractured jaw and facial bones, reconnect severed nerves and treat other facial injuries involving mouth tissues, jaws, cheek and nasal bones, eye sockets, and the forehead. Oral surgeons treat patients with benign cysts and tumors of the mouth and face, as well as people with malignant oral, head and neck cancer, and severe infections of the oral cavity, salivary glands, jaws and neck. An oral surgeon can diagnose and treat facial pain disorders, including those caused by temporomandibular joint (TMJ) problems. A surgeon can order imaging studies of the joints and make appropriate referrals to other dental and medical specialists, or a physical therapist. When non-surgical treatment is insufficient or there is definite joint damage, the oral surgeon may suggest surgery. Performing reconstructive and cosmetic surgery. Oral surgeons can correct jaw, facial bone and facial soft tissue problems that result from trauma or from the removal of cysts and tumors. Corrective surgeries restore form and function to the maxillofacial area and often involve using skin, bone, nerves and different tissues from other parts of the body to reconstruct the jaws and face. Oral surgeons correct minor and major skeletal and dental jaw irregularities to improve chewing, speaking and breathing. Usually in collaboration with an orthodontist, an oral surgeon surgically reconstructs and realigns the upper and lower jaws into proper dental and facial relationships in order to improve biting function and facial appearance. Oral surgeons also surgically correct birth (congenital) defects of the face and skull, such as cleft lip and cleft palate. Your first question would be, how to find the best oral surgery near me. We have here some things to look for. An oral and maxillofacial surgeon must be certified as a diplomate of the American Board of Oral and Maxillofacial Surgery, first having graduated from an accredited dental school and be licensed in the state in which he or she is practicing. The oral surgeon also must have completed four or more additional years of training in an accredited, hospital-based oral and maxillofacial surgery residency program. Within the residency program, oral surgeon residents train alongside medical residents in general surgery, advanced anesthesia, plastic surgery (reconstructive or bone grafting/tissue grafting), medicine and pathology. The training includes treating patients in hospitals, outpatient facilities and surgery centers, as well as in a dental practice setting. How much experience does the oral surgeon have. Ideally you want to select or be referred to an oral surgeon who has built a successful practice through years of experience. In this case, practice makes perfect – the more procedures an oral surgeon has performed, the more experience and expertise he or she can offer you. How much training and clinical experience has the surgeon had in performing the specific procedure you require? Ask about his or her experiences, knowledge and background with your particular problem. What memberships in professional dental societies does the oral surgeon have? Look for specific credentials or credible accolades from these groups? At the least your oral surgeon should be certified as a diplomate of the American Board of Oral and Maxillofacial Surgery. Find out whether the oral surgeon takes regular continuing education courses and how recently these courses have been completed. The American Dental Association along with each states require that dentists take continuing education classes to keep them up-to-date on the latest procedures and technological advances in the field. Discuss the surgeon’s diagnosis and proposed treatment plan, asking about all the options to treat or correct your condition, as well as the pros and cons of each. Make sure that you understand all aspects. Know what the estimated costs of the proposed treatment options are. In cases where dental insurance does not cover treatment costs, does the oral surgeon offer third party and/or in-house financing? Though emergencies are unlikely, you should know what provisions the practice offers for emergency care. Can you reach the oral surgeon after office hours, or on weekends and holidays? An oral surgeon is an important part of a referral network of primary care providers. When such concerns as keeping teeth, overcoming congenital growth issues, controlling serious oral disease and treating trauma-related damage arise, you turn to oral surgeons as the appropriate dental specialists. You get referrals from general dentists, orthodontists, pediatric dentists and medical physicians. Prosthodontists often work hand-in-hand with oral surgeons to develop orthotics and prosthetic appliances to treat a number of functional issues. However, it’s important to note that whenever surgery involves the face, a cosmetic dentist should also be consulted as part of the dental team. Some patients also may wish to consult with a plastic surgeon. If you’re in St. Louis south considering oral surgery, you are in good hands with Gateway Oral Surgeons. That is the answer to the question, where to find oral surgery near me. They will be happy to answer all your questions and will work hard to give you the best-possible care. ← Where Can I Get My Tooth Pulled?